i fell in love pretty quickly — somewhere between the starbucks coffee/hours of conversation and the first dinner date at my house. when you’re dating a trained chef, it just doesn’t make sense to go to a restaurant. i wanted to know what i was getting myself into. he came over with a backpack full of tupperware containers, each filled with ingredients to make the perfect pasta. 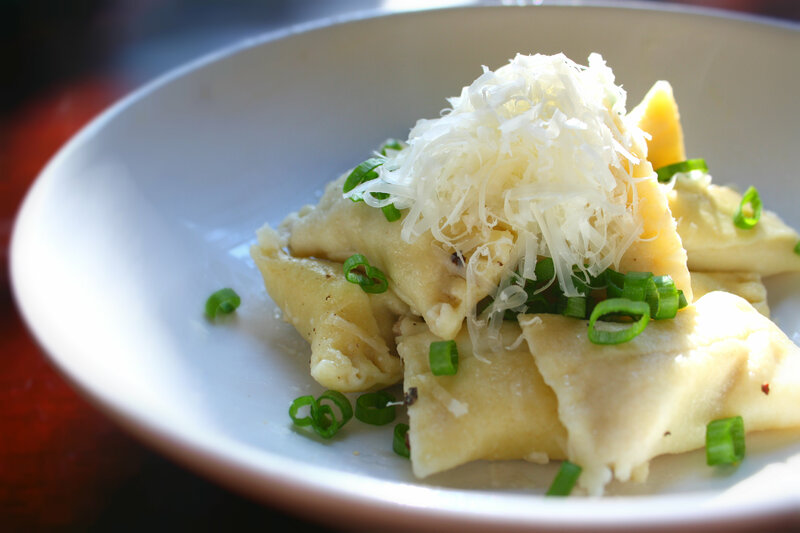 turkey stuffed agnolotti, topped with fresh parmesan. he had me at the first bite. 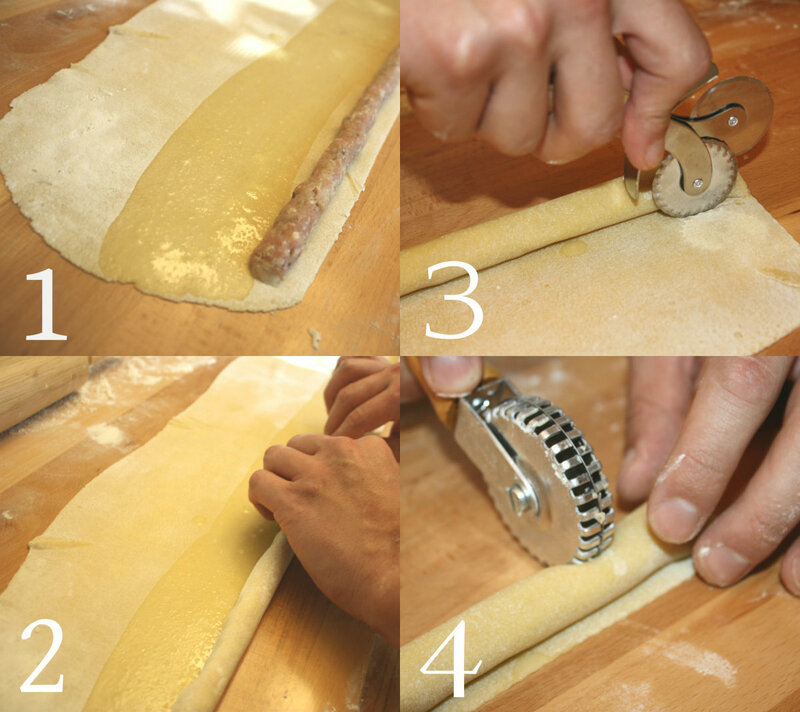 the pasta making process isn’t nearly as complicated as you’d think. 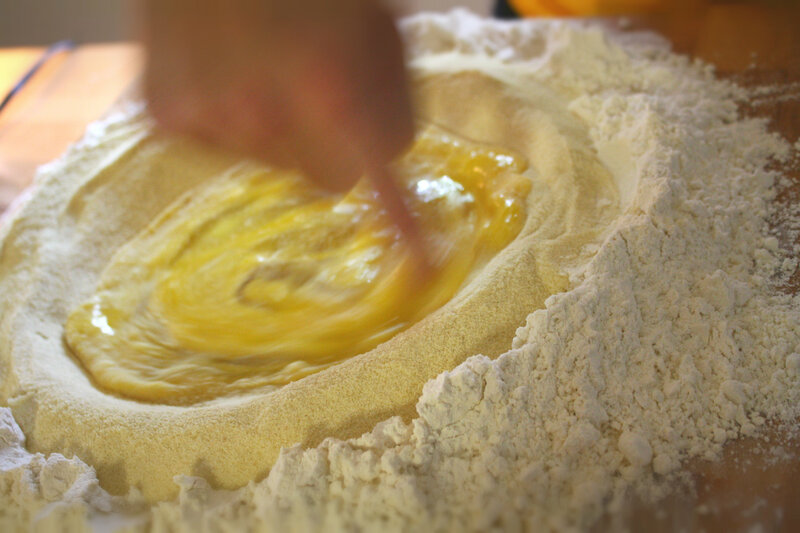 a food processor makes this part a lot easier, but if you want the authenticity of “hand-made” pasta — make a volcano of flour, with eggs in the middle, and stir. 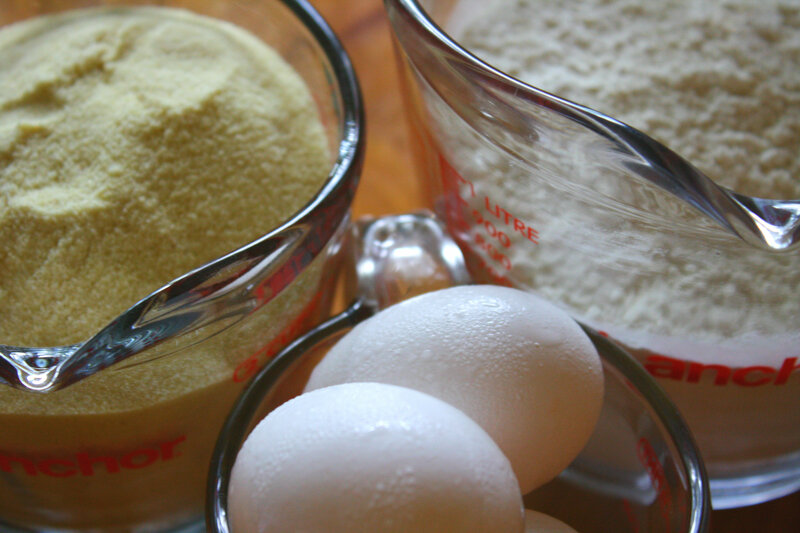 keep kneading until it all comes together into a big beautiful ball of dough. 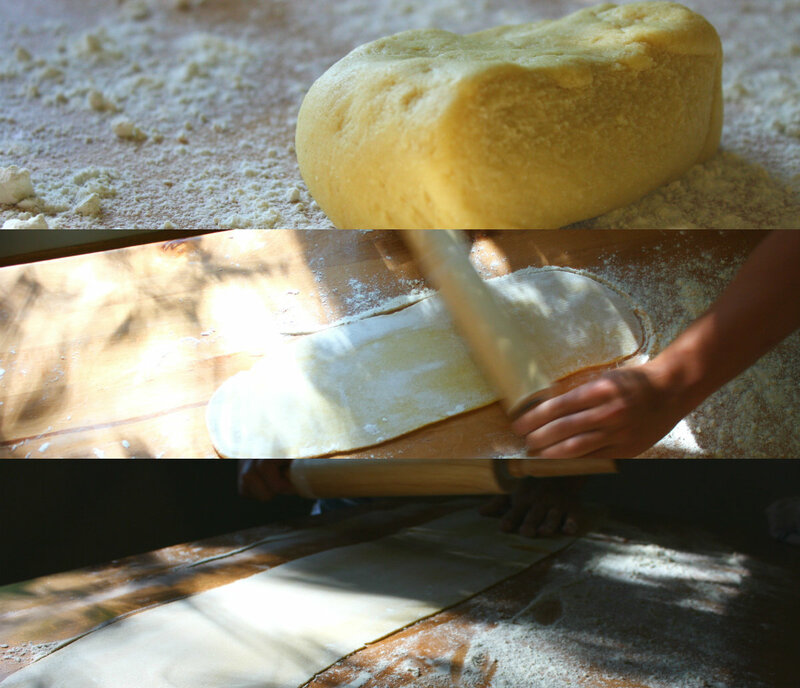 split the dough ball in half. flour the table REALLY well and roll that puppy out. you want it to be five or six inches across and about two and a half feet long. really roll it out. there’s no such thing as pasta that’s too thin. use your hands to mix, then fill piping bag. pipe the turkey filling along the edge of the dough. use a brush to paint a couple inches of egg wash beside it (it’s like glue). roll the turkey up, overlapping the dough so none of it gets out. cut the extra pasta off. use a pasta cutter to cut the little guys apart. ta-da! drop them in well salted boiling water for about five minutes or until the filling is cooked through. sauce with butter, black pepper, green onions, and more shredded parm. WOW.. that sounds great! And I love the photography too! thanks, teri! 🙂 perfect excuse to practice with my new camera! ahh! if you do, let me know how it turns out! it seems like a lot of work, but it’s really not that difficult. 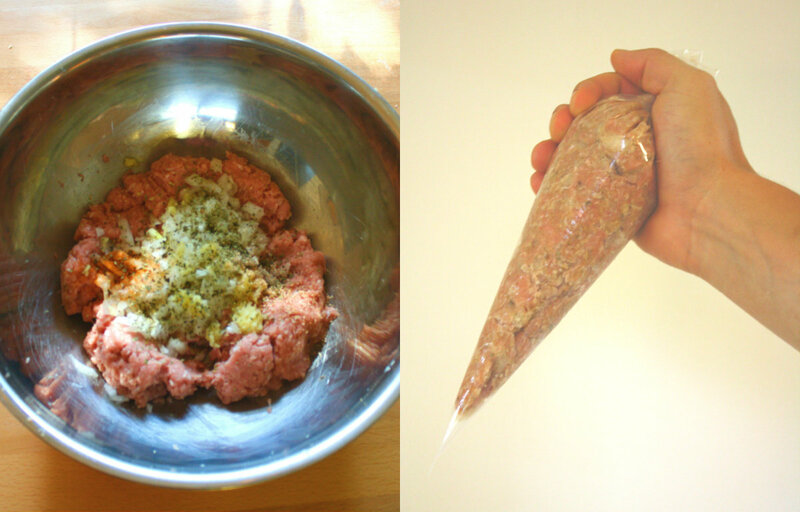 even if you just want to use the pasta recipe (only three ingredients!!!) and cut it up like noodles — it is so delicious. 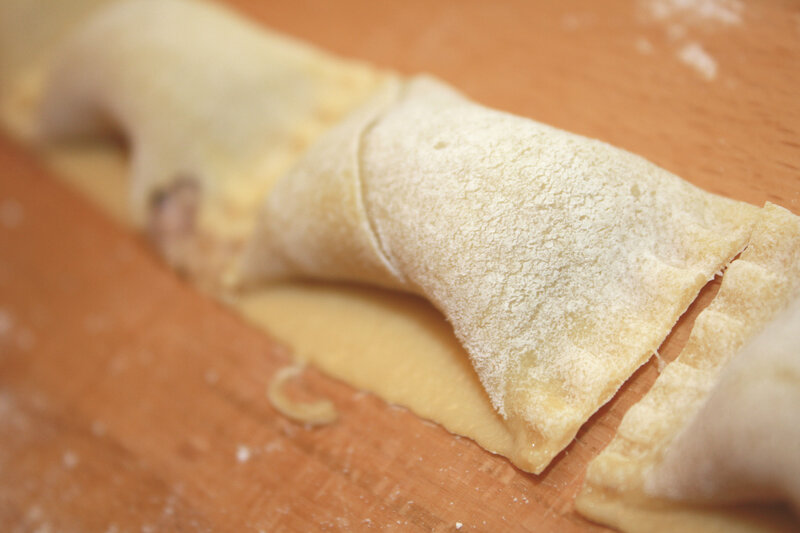 there’s really nothing better than homemade pasta!